something on our website that you like please contact us to see if we have it on hand or we can Special Order it for you! We do not stock ALL items shown in the pictures and can almost always order them. Just stop by or contact us with any questions you may have! We now Carry PolyLumber Furniture as well! Available in 14 different colors! We can also Provide You with a wide range of services and Installations from Kitchen & Bathroom Remodels, All Flooring, Pavers, ﻿Cabinets, Countertops, Back Splashes and MORE! 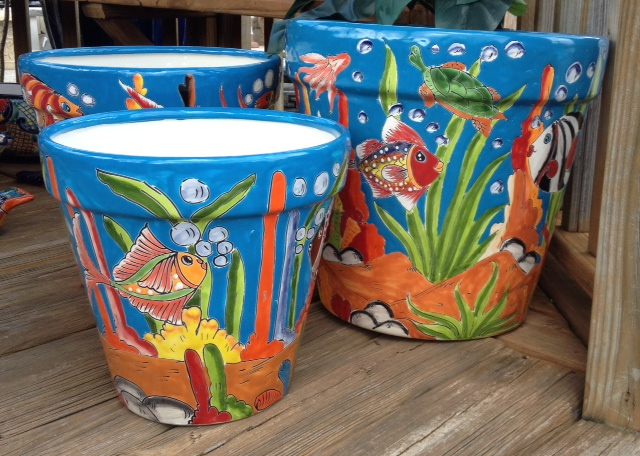 Southwest and Tropical has quality home decor for all of your outside and some inside home needs. Southwest and Tropical is a business that is dedicated to providing our customers quality products at fair and reasonable prices with full services available. We desire satisfied and repeat customers that are looking for quality and service. We are family run and take a lot of pride in serving customers which end up as close friends. We have pottery, fountains, and statuary along with other home decor to satisfy each and every customers needs. So please stop by and see us or contact us.